Around 55 million visitors choose to visit the French Alps for their holidays every year. Generally offering good snowfall and a long ski season, property owners are able to fulfil their holiday expectations here, as well as accrue high rental yields the rest of the year. With summer holidays in the Alps a growth market, buyers are currently keen to invest in year-round holidays and second income opportunities. According to Home Hunts these four areas have been the most sought after by buyers looking for prime property in the French Alps: Morzine and Les Gets; Chamonix and Megève; Evian les Bains; and Annecy. Morzine and Les Gets – part of the Portes du Soleil which comprises thirteen resorts – offer excellent facilities and skiing opportunities. Morzine is the largest town in the area and a good prospect for those wishing to buy property in the French Alps as better value deals are available here than in resorts such as Chamonix. It is also renowned for being an excellent destination for families. Les Gets usually has good snow cover and has pistes converging at the centre of the village from both sides of the valley. The resort boasts phenomenal mountain biking trails, a lake and an 18-hole high altitude golf course. It is also just 30 minutes from Lake Geneva for sailing and water sports. “Demand seems to be increasing at a faster rate here than other areas, which, when prices are due to rise, makes buying here a savvy investment for the future,” says Victoria Meneely-Holt, Home Hunts’ Morzine consultant. Chamonix has one of the longest skiing seasons in the Alps because of its altitude at over 2,000m. It is home to Europe’s highest cable car, the Aiguille de Midi, which is known for its glass observation box, the Skywalk. A unique experience, here visitors can experience 360° panoramas of the Mont-Blanc massif. Megève, which is located around an hour from Geneva airport, has three main ski zones: Rochebrune, Mont d’Arbois and Le Jaillet. It offers 230 square miles of ski terrain and hosts several prestigious ski schools. A popular holiday resort and spa town on the shores of Lake Geneva, Evian les Bains is just twenty minutes away from ski resorts of Bernex and Thollon les Mémises. Buyers looking for a solid investment property in the French Alps will not be disappointed as purchasing here can make an excellent year-round rental prospect – especially as the Portes du Soleil can be reached in just 40 minutes. Annecy is positioned at north of Lake Annecy around 45 minutes from Geneva. A popular destination for skiers, it is just 35km from the Alpine resorts of La Clusaz, Le Grand Bornand, Manigod and Saint Jean de Sixt, known as the Lake Annecy Ski Resorts. If you are looking to buy property in the French Alps, visit Home Hunts’ impressive portfolio at www.home-hunts.com. To speak with a Home Hunts consultant directly about your specific real estate requirements call +33 (0)970 44 66 43. 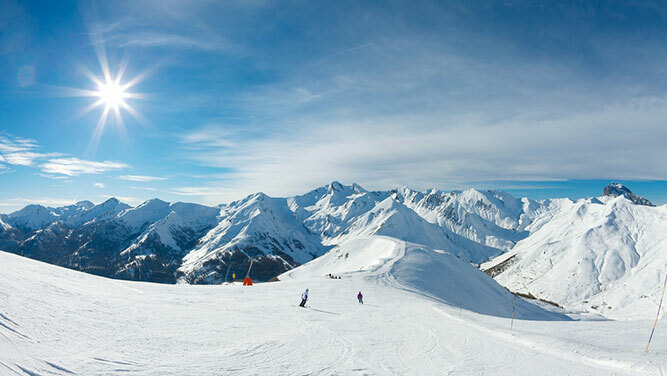 What are the property hotspots of the French Alps in 2019? What are the property hotspots of French Riviera?